For hundreds of years Paris has served as a genuine “research lab” where pioneering architects have come to experiment with their ideas. This has ultimately fashioned the French capital into a city which has bit of everything. If you looked around, you would grasp the presence of different epochs coexisting harmoniously in the city’s Roman, Medieval, Renaissance, Baroque, Classical, Neo-Classical, Art Nouveau and Contemporary Architecture styles. Compared with most metropolitan cities, however, Paris remains a historic city – and it’s exactly this approach to cherishing and treasuring the past which has turned it into one of the most visited and loved cities in the world. 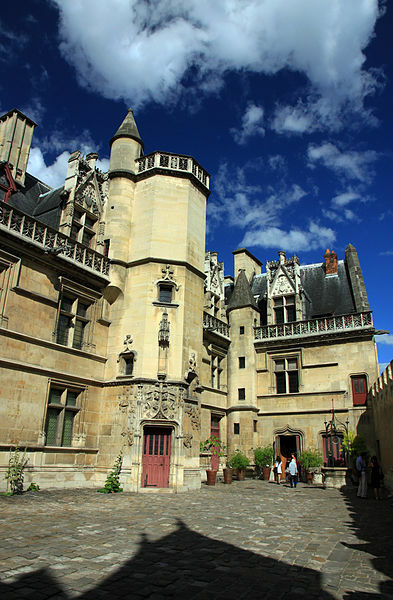 Historically speaking, Paris can be divided into four architectural periods: Roman, Medieval, Renaissance and Classical. Symmetrical and organized, Roman architecture is easily recognized by its columns giving its buildings a majestic, dominating feeling. Throughout the Medieval period Paris became maze-like, disorganized and claustrophobic. With no layout plan for the city, buildings were erected chaotically and streets were narrow and unplanned. In the course of the Renaissance period Paris copied the architecture of others, rather than developing its proper style. Inspired by the Italian Renaissance, it favored symmetrical and proportional design, very much like in Roman architecture. The proper Parisian architectural style began to elaborate when singularity and elegance were added to the uniformity and proportion of both Ancient and Renaissance styles. This was the birth of French classicism, which stroke a balance between tradition and innovation, continuity and variety. Established in the 1600s, the French Classical style made Paris renowned for its architecture, which has since been celebrated throughout the world. Very little remains from the Ancient Roman heritage which actually engendered today’s city of Paris. However, the Musée de Cluny is one rare and beautiful example of this lost era. This medieval monastery built on top of a Roman baths complex (fragments of which are still noticeable on the grounds outside and in the vast conserved frigidarium (cold-water bath), houses a selection of significant medieval artifacts, such as medieval sculptures, antique furnishings, illuminated manuscripts and the the 15th century tapestry cycle The Lady and the Unicorn. 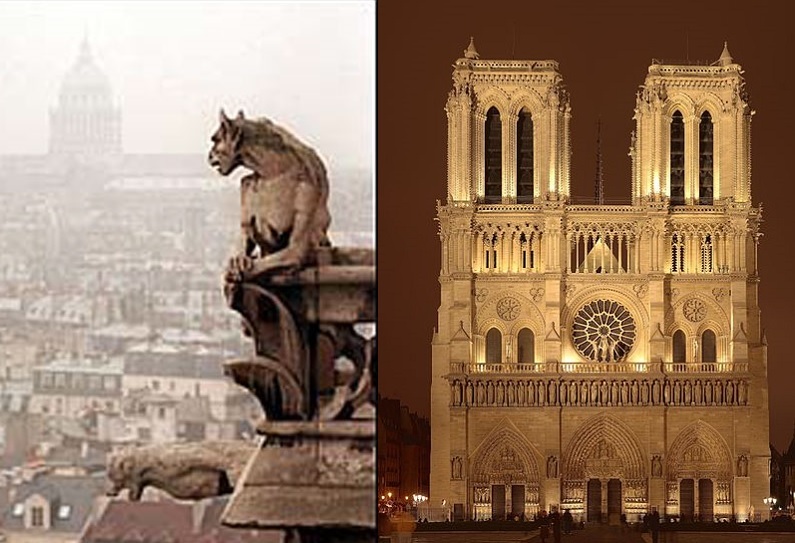 Built between 1163 and 1250, the Notre-Dame Cathedral is an archetypical Gothic cathedral. Its key Gothic features comprise of pinnacled flying buttresses, a trio of France’s best rose windows, vaulted ceilings, portal carvings and of course, its iconic gargoyles. To create unified and consistent structures, the Renaissance style emphasized on proportion, symmetry, order and classical inspiration. Paris’ finest examples of Renaissance architecture are the Renaissance mansion of Hôtel Carnavalet (1544, the only 16th-century hotel to be found in contemporary Paris) and unquestionably, the sophisticated square of Place des Vosges (1605), flanked by Renaissance mansions rising above a charming arcaded corridor enclosing the famous square. It was during the Renaissance period when Parisian architecture eventually stopped imitating Italian design to begin developing its own style. 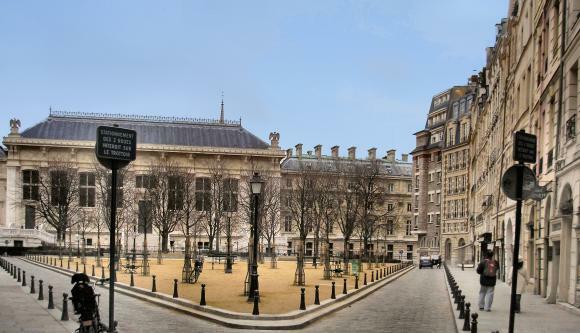 Among the earliest city-planning projects of Henry IV, a novel and distinctively Parisian square was built – the tiny but charming Place Dauphine was meant to embody the spirit of modernity and France. From the square one can easily access the Pont Neuf and the islet of Square du Vert-Galant, but what makes the Place Dauphine particularly enchanting and different is its unusual shape – oxymoronically enough, this square is triangular! Soon after the short-spanned life cycle of the Rococo style, a neoclassical movement began to fashion Paris’ cityscape. Favoring structures strictly based on ancient examples, the neoclassical style re-sparkled the interest in classical ideals which had an impact on European society through thought, politics and fine arts in the 18th century. One of the most notable examples of the neoclassical style is the Panthéon (1758), modeled after the Pantheon in Rome and containing the remains of illustrious French citizens. 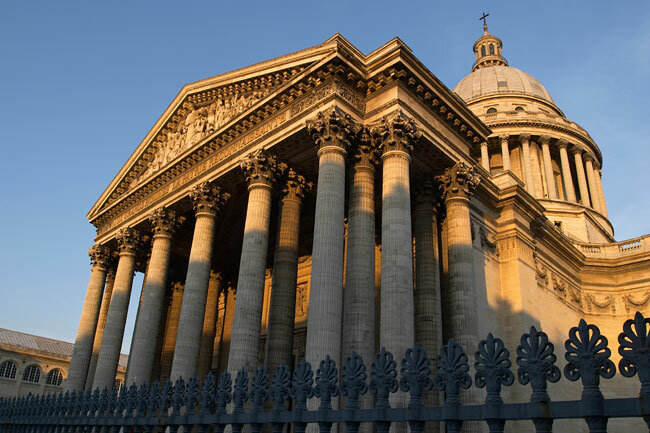 Another example is the Madeleine Church commissioned by Napoleon I as a neoclassicist temple and intended to be a “Temple to the Glory of the Great Army”. However, the monument was still unfinished when Napoleon lost his rank, so it became a church consecrated in 1842. We cannot truly review Parisian architecture without highlighting the famous Haussmann Plan, a modernization program of 19th century Paris, commissioned by Napoleon III and managed by the Seine prefect, Baron Haussmann, from 1853 to 1870. 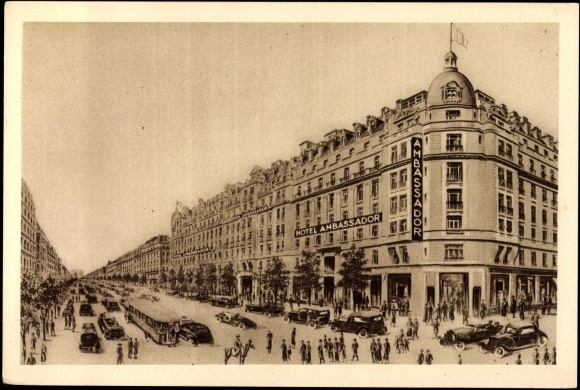 The project which featured all aspects of urban planning (modifying streets and boulevards, building facades, public parks, city facilities and monuments) gave the city its present form, established the image of today’s popular representation of Paris around the world and played a key role in creating the capital’s halo of charm and beauty. The key characteristics of Haussmannian architecture showcase long, tree-lined boulevards with cafés and shops and feature buildings with wrought iron balconies and aligned windows aimed to create a sense of perspective. Thanks to Haussmann’s modernization of the city during the 19th century, the medieval appearance of the city was fairly effaced and a new type of urban scenario was promoted – one which had a thorough impact on the everyday lives of Parisians. Art Nouveau architects opposed against the Third Republic’s concept of mass production by creating disproportionate and voluptuous designs with organic basis (like plants and flowers) in mediums like wrought iron, stained glass and tile. Designed by Hector Guimard in 1900, the Abbessess’ metro station entrance is one of the best preserved Parisian examples of the classic Art Nouveau style. 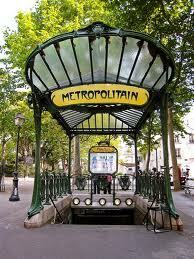 It is also one of the only two original iconic metro entrances left in Paris (the other being at Porte Dauphine). 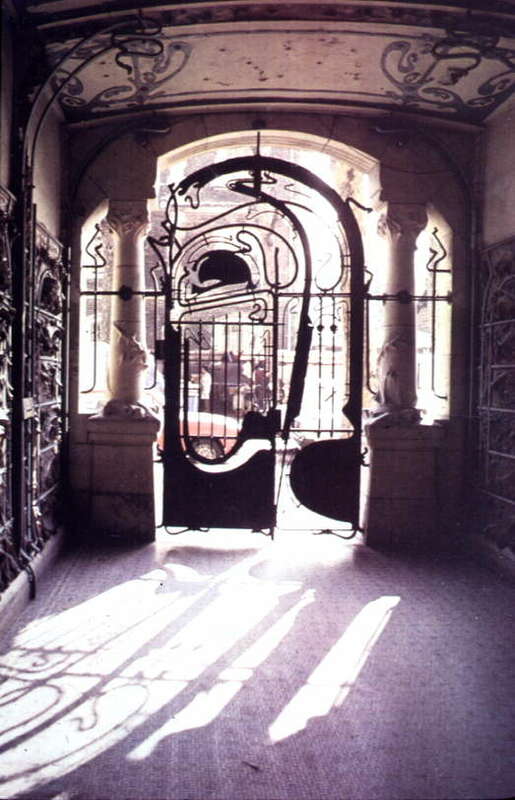 Perceived as radical when designed by famous architect Guimard, the Castel Béranger ignited scorching debate reflecting the widespread resentment towards the Art Nouveau style at the time. Seen as perverse, breaking with all tradition and defying all convention, the building was considered a real nightmare – so much so that it was derisively renamed to Castel Dérangé (or The Deranged Castle). It fuelled controversy mostly because it defied conventional perception and did not fit into any familiar frame of reference – people just did not know how to judge it! The interplay of forms and mix of materials rendered all the more unusual this beautiful and enigmatic building resembling an enchanted castle. Both strange and foreign, it lacked French moderation and temperance and was never appreciated despite the fact that it had won the first prize in Paris’ “Concours de Facades” in 1898. During the 20th century, France appointed some ambitious “grands projets”, most of which attributed to the late president François Mitterrand. Considered controversial or even scandalous, these projects aimed to contemporize and revitalize the city were not well accepted. 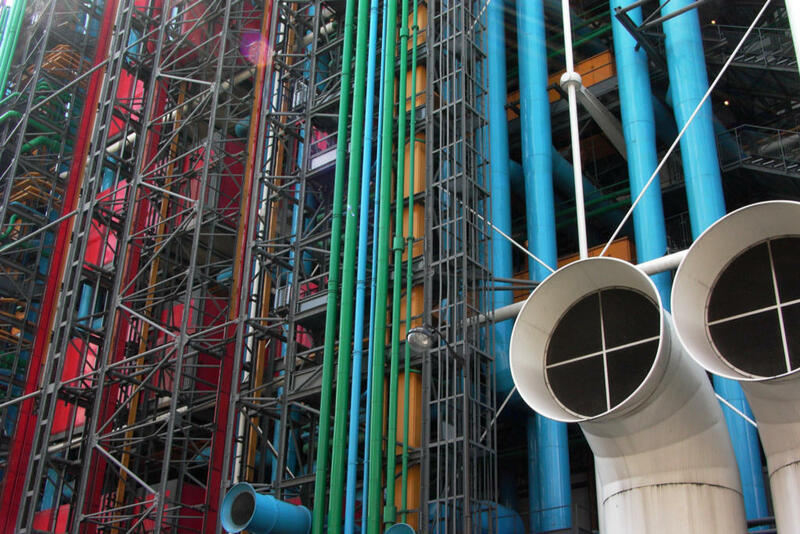 The concept of the Centre Pompidou (1977), Paris’s industrial-looking modern-art museum, was to “turn architecture inside out” by using exposed pipes, steel supports, and plastic-tube escalators marking its exterior. 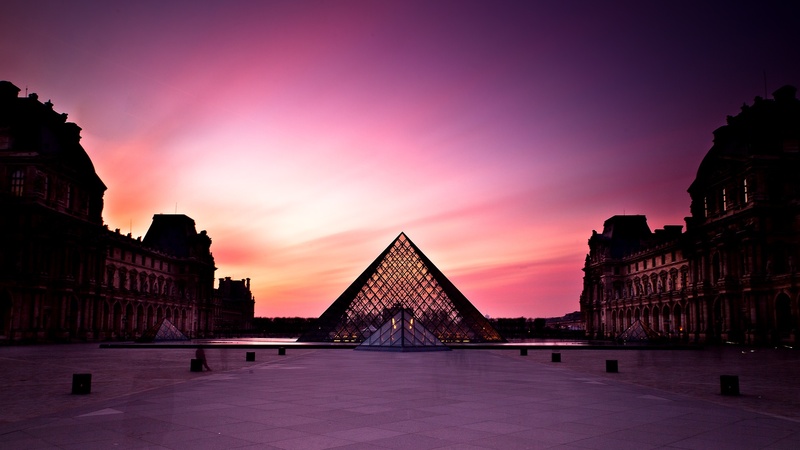 Another shock came with the Louvre’s glass pyramid (1989), anathematized as a “ridiculous piece of fantasy which would ruin the Louvre” and the Bibliothèque Francois Mitterand, housing knowledge in four glass towers the shape of each symbolizes an open book.